I have signed up to run for a charity in 4 weeks can do either a 4K or 10K run but I am not very fit and have not been running for some time. I was reasonably fit until a few months ago so I feel like I should be able to do it. Thanks for your question about your fun run. Four weeks is not a whole heap of time to get incredibly well prepared. You are saying that you had a reasonable fitness level until a few months ago and seem to be confident. I would say that you need to start running about three times per week. I usually advise beginning runners to do a run/walk program, i.e. alternate running and walking. It is a safer way to start your running and you are able to cover more distance due to the walking breaks. Build up your running easily. Don't go off running crazy distances as you may get yourself injured. 10k is a fair hike. With hardly any running training and only four weeks to go, I am not saying you can't do it, but it would be way wiser and more enjoyable to do the 4k. Use that 4k-run as a great running experience and then continue your training and do a 10k a few months later when you are able to comfortably cover the distance and race it. 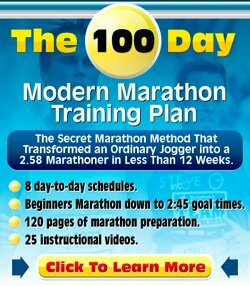 Browse my Beginner Running Section and my Running Training Section for more running training information.